The United Nations Permanent Peacekeeping Force is the Military organisation for the Terran Democratic Republic. The title may be somewhat misleading, as the UNPPF is an armed force in its own right, and does not just fulfil the role of "peacekeeper." Traditionalists prefer the name as it gives more of a civilised edge to the Terran military, elevating people's opinions about them. The UNPPF is a military organisation in all respects, though. It is not responsible for scientific analysis of interesting space phenomena or exploring uncharted territory. The UNPPF is an army, nothing more. Not overly large, the TDR fleet is sufficient to defend the planets of the Republic. Renowned across the galaxy for their fighters, the TDR has the largest proportion of carrier craft and fighter craft in the galaxy. Terran fighter pilots are amongst the most famous and highly praised in the known galaxy. However they do not compare to the sheer numbers of Gohorn vessels, so the TDR military spending has been stepped up in preparation for another war. Service to the military is voluntary. Terran ships are functional, practical and aesthetically pleasing at the same time. At the outbreak of the Second Terran/Gohorn War, the UNPPF was not prepared for an offensive war. Only a few times during the 25th century had the UNPPF been required to fight, and so most of the crews were inexperienced with actual wartime combat. 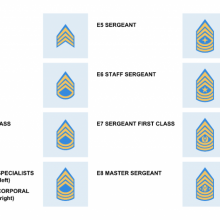 The Joint Chiefs of staff, headed by the Chairman of the Joint Chiefs are considered to be the highest ranking officers from each of the military departments. They and the Chairman in particular, are responsible for coordinating between the Minister for Defence and the Secretary General, and the rest of the military, as well as advising them on military policy. A new Chairman of the Joint Chiefs is appointed to the position each time one resigns or steps down. There is not just one military academy for the TDR. The main academy can be found in Cairo, Earth, but there are thirty four other subsidiary training academies for potential military recruits around the Terran Democratic Republic, including a large one on Hera III. The academies, excluding that of Earth and Hera which can facilitate both, are only able to train cadets for one field of the military, the space navy or the army. The basic training course for both the army and the space navy runs 2 years, but for a cadet to become an officer he or she must train for a further two more. The Terran Democratic Republic's Special Operations department is TOSEF. Linked to the main military structure and falling under the overall command of the Minister for Defence and the Military Commander in Chief, TOSEF comprises select officers from all fields, navy, army, intelligence etc. to achieve a group of individuals who undertake the most dangerous of missions. TOSEF is small in comparison to the rest of the UNPPF, and thus a sense of elitism has developed amongst members of TOSEF. Members of the UNPPF who are not TOSEF are referred to as PAVES (Peacekeeping AVErageS) by members of Special Forces, and there is a certain amount of antipathy going the other way towards TOSEF members, who are seen as arrogant. Normal officers refer to TOSEF by the nickname "Tossers." 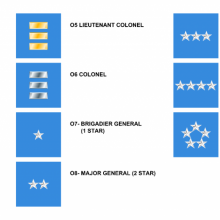 TOSEF members can be identified by a silver star on their left shoulder, above the ribbons on the dress uniform and the name tag on the duty uniform. Members of TOSEF often find that they accelerate through the ranks faster than normal soldiers. TOSEF is based in Havana, Cuba. The Internal Security Agency for the whole of the Terran Democratic Republic, UNIS is responsible for ensuring the security of classified information and for investigative duties when Terran Security (whether that is United Nations, UNPPF or planetary) is threatened.. They are based in Paris, Earth. The current director of UNIS is Fujio Noakama. The CIC, based in London, is the external intelligence apparatus for the Terran Democratic Republic. The current CIC Director is Johan Rashid. and the Department for Covert Action. Each responsible for the two aspects of foreign intelligence gathering and operations - that intelligence collected from machine resources and that from actual people. All three departments are answerable to the Director of the CIC, who is answerable to the Intergalactic Senate, the Intergalactic Security Council and the Secretary General. DOI has intelligence gathering bases throughout Known Space. These bases are equipped with highly sensitive sensor equipment, which provides a lot of information about ship movements, and also intercepting transmissions between foreign governments. DOSA operates agents inside foreign governments, who then provide them with information. Both the DOSA and the DOI complement each other in their provision of intelligence information. DOCA carries out all manner of operations in foreign territory, like sabotage. It is much smaller than the intelligence-gathering departments, and normally recruits its officers from the military. They are very well trained, however the Intergalactic Senate has time and again expressed its alarm over some of DOCA's actions, raising questions about the morality of a department like DOCA. 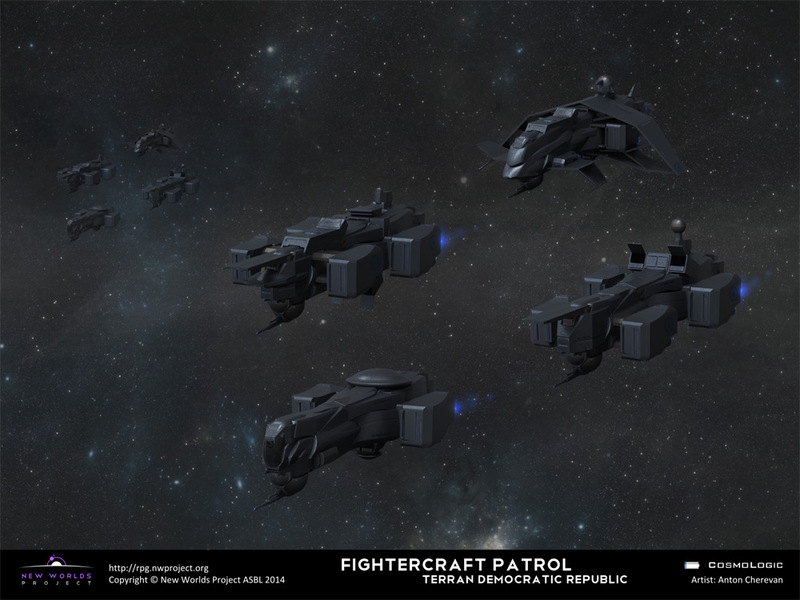 In addition to the UNPPF, the military body of the Terran Democratic Republic, each system has its own Civilian Police Authority. These are the general law enforcement apparatus for the Republic independent of the military, investigating and preventing crimes, preventing both smuggling and piracy (often with UNPPF Corvette cooperation) and thwarting terrorism of a local nature. The CPAs all have a fundamental rule book which they follow, however are more autonomous than the UNPPF.